A Fraud. Nothing More Than Conservative Spew. Actually, more than just Conservative spew. 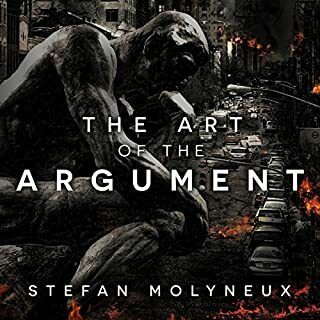 The author is a pompous blowhard, continuously putting himself above everyone else for what he considers makes him better -- yet he never provides anything more than standard definitions for standard logic and philosophical concepts. The most egregious offenses are his presentations of his clearly biased arguments against unmarried women, minorities, Democrats, and atheists without any supporting data -- immediately after claiming that without data, one is not properly engaging in argument. In other words, the work is a sham. Really wish I hadn't spent any money on this -- I hate the idea that I paid money to promulgate this Conservative garbage. Incidentally, based on the reviews, I cannot believe the book has a 4.3 star rating. I suggest Audible take another look at the rating and show everyone the statistics that went into it. Or are they trying to promote sales?